Customer expectations have changed rapidly, even in the past 2 years. For example, 64% of American households now have Amazon Prime. Like it or not, Amazon and other services have trained a generation of consumers to expect more from their service providers, which also includes utilities. Traditional industries such as banks and telecoms are adapting to this new reality with web tools and apps that put the customer in control with real-time information about their accounts. Utilities are gradually moving in the same direction. 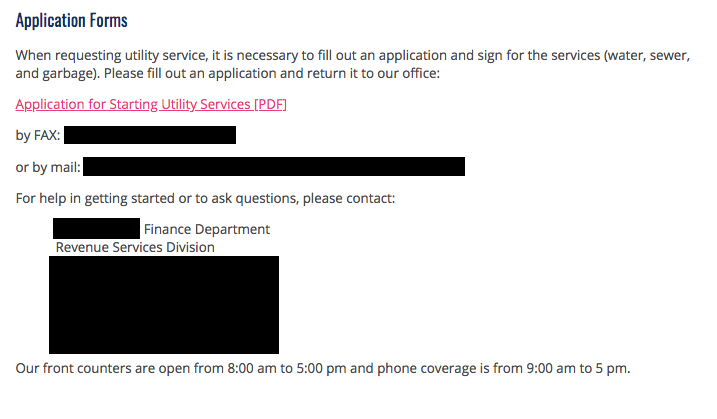 The current way that most utilities manage customer interactions online leaves much to be desired. Customers often must slog through onerous processes like downloading, printing, and then scanning, faxing, or emailing completed forms. It’s not just the utility customers that suffer. Utility staff go through the hassle of manually inputting the data on the forms into a database, tracking the status of multiple workflows, and handling too many customer requests by phone because the online process is overly-complicated. In addition, these manual processes are prone to human error which introduces more inefficiency and costs when applications or submissions are not processed properly. Deploying forms is a burden to IT staff, who have to manually code the front end of the website, set-up a database, and create administrative interfaces to allow utility staff to manage the submitted data. We've discussed the challenges of using downloadable PDFs as forms and 3rd party tools like SurveyMonkey or Google Forms are relatively easy to use and deploy but aren't integrated into existing customer interfaces, and getting data from the form tools into existing utility systems is a manual process. Yet all of these options are superior to what 12 percent of utilities do, which is to not offer customers any online method of submitting information! 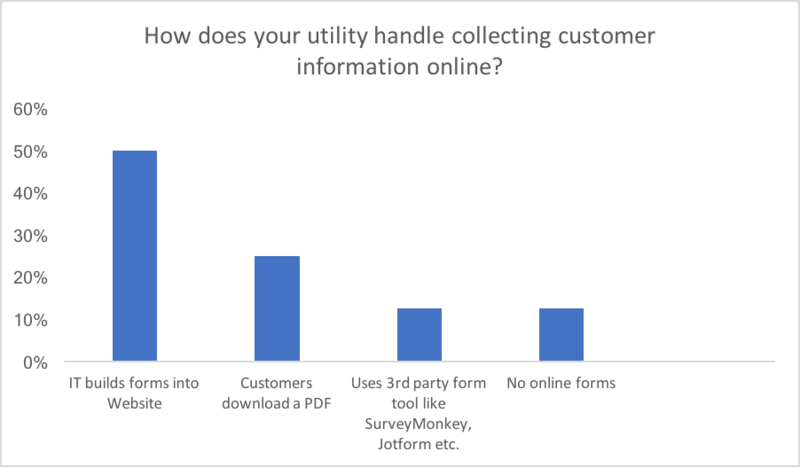 A better way to handle customer interactions online is to do what WaterSmart has done, which is to build a versatile tool that allows utility staff to quickly and easily create and publish any data collection interface they want, without the help of IT staff. This standard module is fully integrated into the WaterSmart platform and automatically ties the front-end data collection with back-end process management and notifications. This means no error-prone, duplicative data entry for utility staff. Furthermore, every form in the Customer Portal is mobile-optimized for your increasingly mobile customer base. For more sophisticated interactions like Start Service, WaterSmart has developed application interfaces that are accessible outside a gated Customer Portal and can safely collect personal information needed to process a new service request. Interactions that may require a multi-step workflow, like a rebate application, display the submission status to both the customers and utility staff as the request is processed. This is important to ensure that customers can track application status and avoid unnecessary calls to utility staff to check on progress. By rethinking the utility-customer relationship and how to improve the efficiency and quality of repeatable data-collection processes, any utility can now drive process improvements through their organization while lowering service costs and improving customer satisfaction. Take a moment to think about all the ways you interact with your customers and collect their data. What other applications for digital data collection would you like to see? Let us know! And if you want to see how easy our forms tool is to use, we're happy to give you a demo. If you thought this was interesting, you may also be interested in reading our 2017 Benchmark Report on Customer Satisfaction.